This is a cross stitch pattern that I drew up for my son. 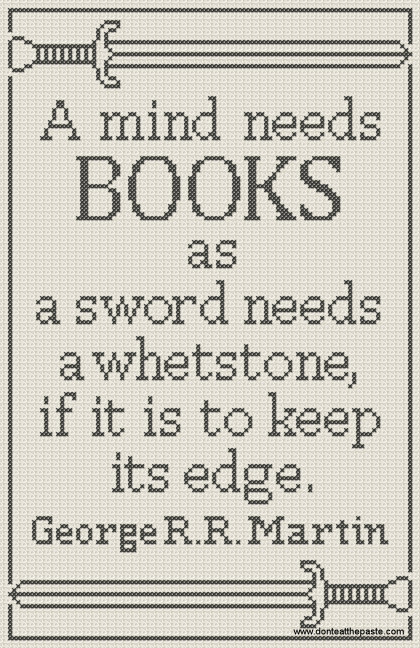 The quote is from the ever popular Song of Ice and Fire series and was said by Tyrion Lannister. It's a simple pattern all in full stitches and one color. So pick your favorite color to stitch it up in! The finished size on 14 count is about 9x12 inches. Print chart to fit page. If you like this, you can buy this e-book that's formatted for e-ink and will work just fine on your mobile devices or borrow it with Kindle Unlimited or Prime. It's 5 quick to stitch skeleton keys that make a nice decoration. Love this quote. great job on it. 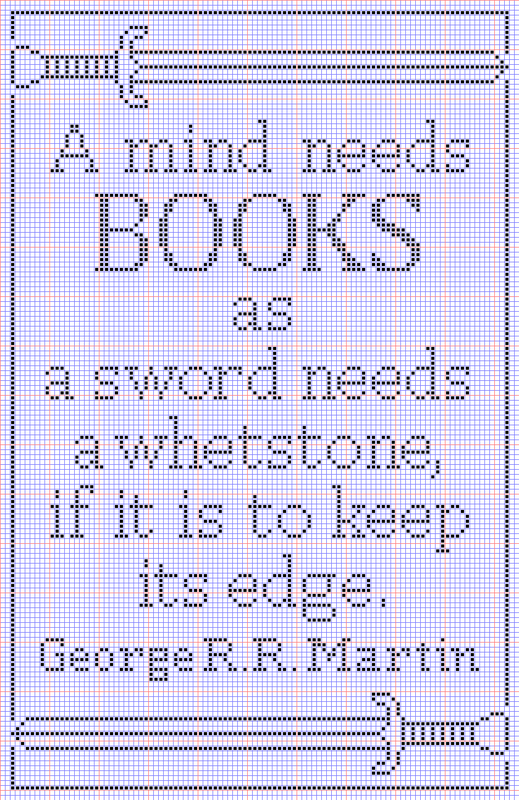 I dont cross stitch but I do loom work and this would be cool in beads or bead stitching. Thanks for the free pattern! Because of the height/width ratio in beads, it would probably be better bead stitched than loom or square stitched unless you're using cubes but then it would be HUGE! Have you seen my split loom dragon pattern?